MOONLIGHT rocketed up the UK box-office chart yesterday (Monday) following its Oscar success on Sunday night. 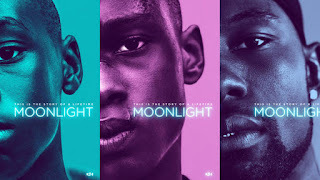 MOONLIGHT – which picked up the Oscars for Best Picture, Best Adapted Screenplay and Best Supporting Actor – shot up to number 4 at the UK box-office (behind films playing on twice as many screens) and had by far the highest per-screen average of any film in top 15, selling out many performances. Last night also saw a one-night only expansion from 170 screens to 239. Scheduled in anticipation of some Oscar success, this expansion made the per-screen average figure even more impressive. So successful were some of the new screens, that MOONLIGHT will now continue to play in them throughout the week. From Friday (March 3) MOONLIGHT will play on 280 screens across the UK, adding 90 to last Friday's expansion. MOONLIGHT is released in the UK by Altitude Film Distribution.